The fitness industry has been undergoing a substantial pivot in the last few years. The workout landscape has shifted from inside one-stop-shop, large commercial gym facilities into boutique group exercise studios that specialize in one particular niche. This has given customers the ability to pick and choose which type(s) of workout (s) they’d like, with no commitments nor experience needed. While this new business model has improved the customer experience (and the profit margins of studio owners), there is one void that remains unfulfilled: the results. The group exercise class formula is designed to feed the customer’s perception of an enjoyable and productive workout. The loud, relentless music blasting under dimmed lighting with the ever-popular class instructor that is splitting equal energy parts between non-stop motivational directives and full-throttle exercise form demonstrations. The instructions are never-ending, the movements constantly changing (just as you figured out what exactly you needed to be doing) and all awhile you barely have a second to wipe off the sweat dripping off your nose so you can take one quick sip of water. It is, in a word, overwhelming… and that’s because it’s suppose to be. The experience is certainly a few levels above anything that can be recreated during an individuals’ workout. The idea is to make the customer feel completely spent (cost aside) and yet reinvigorated for having completed such an intense output, along with their fellow classmates. Do group exercise classes satisfy the needs of the customer? Sure. Do classes push people to exert more effort than they typically would in another setting? Absolutely. Rarely will a customer see real, sustainable results. Group exercise classes are not designed to yield results. In fact, a growing pattern in group exercise is the injuries that occur from over-exerting oneself, such as in yoga class. Since the model is built upon single-usage experiences, exercise periodization and programming cannot be applied. Exercise science teaches that adaptations (results) are a byproduct of exercise consistencies and specific timing strategies that require constant adjustments. None of these elements are present in a class that must account for new participants and reoccurring attendees. To learn a skill(set), you need to repeat a movement over and over and over again while absorbing very few instructions. This creates intrinsic motor control and learned behaviors, which become the foundational components of progression. Again, this is not present in group exercise classes. The randomness of movements and the overload of instructions does not yield retention and development – it’s just a lot of movement and stimulation all bundled into a sensory overload designed to work you to your max and keep you paying $35 per class. 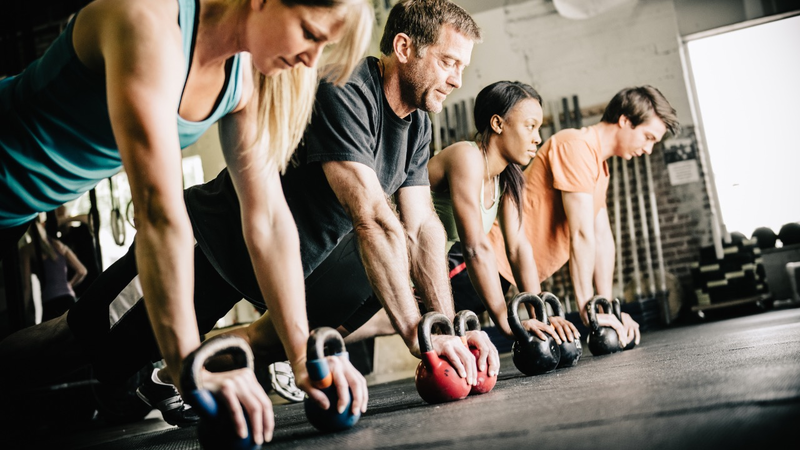 So in summary, group exercise classes are a great add-on to any particular routine, but they should not be the basis of an exercise program if measurable results are desired. There is no doubt that group exercise classes have value for both the customer and their health. Getting people to enjoy exercising is a win in itself. With this, it is still important to understand and consider the lack of outcome-based results that is typical with group exercise classes. Can Sleeping In On Weekends Help You Live Longer? "Is This Diet Right For Me?" © 2019 MikeClancyTraining. All Rights Reserved.